The cornerstone of your business is providing the best for your clients. That’s why we separate ourselves from other banks and lenders, by making our process as quick and simple as possible. We deliver competitive rates and costs and bring you Mortgages Simplified™. With our in-house underwriting team, our Mortgage Consultants are able to provide advice from the start and deliver at the end. Along with funding in-house, drawing documents in-house also ensures quick closings. Our accuracy is very high due to our amazing closing team drawing documents every time for our home loan and refinance customers. Our mortgage lending capacity and support systems provide timely closings, because we fund in-house and, therefore, have control of the funds. There are a number of mortgage products, approval options, and loan structures available in the mortgage lending market. However, only experienced mortgage bankers like On Q Financial are able to suit a variety of borrower needs. Top 10 Reasons Realtors Love Working with Us! Accessibility – You can count on us to be available and responsive to you and your buyer’s needs. Customer Service – We are committed to building raving fans by being there & following up consistently to close successfully. Communication – We keep you and your client informed every step of the process. Loan Options – One size does NOT fit all. We have dozens of loan programs to help your buyers get into the mortgage that meets their financial goals. Competitive Rates – We have the pricing power to offer competitive rates and reasonable fees. Experience – You can trust that we have the experience to handle the process and address any hurdles in order to take care of things so you don’t have to. Simplicity – On Q’s “Mortgages Simplified™” processes means you’ll have one less thing to worry about. We will handle the details and keep you in the loop. Honesty – Our business is built on honesty, integrity and total customer satisfaction. 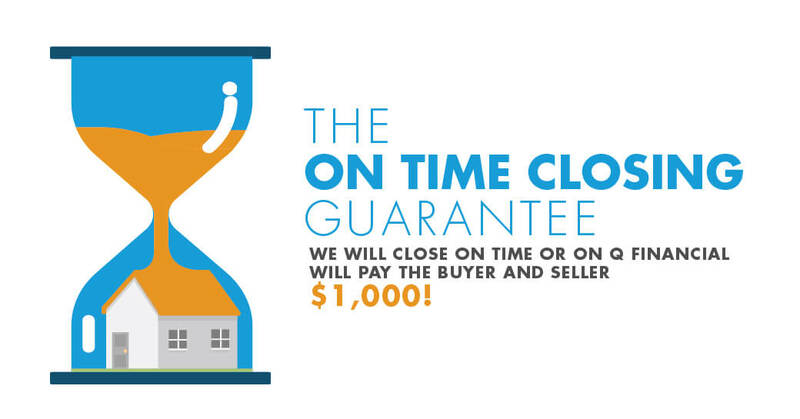 Transparency – You can count on us to be completely upfront with you and your buyer on every aspect of the loan.